Consistent monitoring of progress on individualized education plans (IEPs) is critical for any special education documentation including progress reports and annual reviews. Data sheets, task analyses, and anecdotal notes can be used together to document progress on social skills, communication skills, academic skills, behavior skills, daily living skills, and motor skills for children with developmental disabilities. 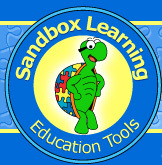 To document progress towards meeting individualized education plan goals (IEP goals), to record behavior and behavior modification, and to have a greater understanding of an intervention’s efficacy, Sandbox Learning has created Monitoring Materials. This collection of data sheets, task analyses, and forms for anecdotal notes provides a means for monitoring progress on special education goals. Communication skills, academics, social skills, fine motor skills, daily living skills, and behavior skills are covered in the subscription. The sheets are in Excel so they can be customized to address each child’s IEP goals. Currently, the IEP documentation sheets focus on skills addressed in Pre-K and early elementary. However, many of the sheets and almost every task analysis applies to virtually any age group depending on the child’s IEP goals. In the future, special education materials will be added to address the needs of older students, such as chores, independent living, work, and other academics. Additional information about using data sheets, task analyses, and anecdotal notes can be found on our site under the tab, About Materials. The importance of reinforcement of behaviors and different types of reinforcement are also discussed in this section.